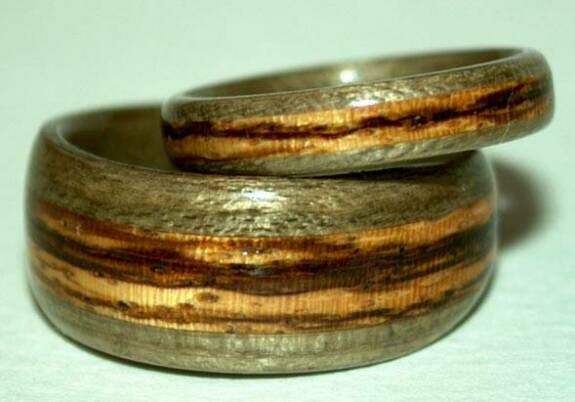 Greyed Maple Wood Rings with Zebra Wood Bands. The larger of the two rings is a size 10.5. It is 10mm wide tapered to 6mm. 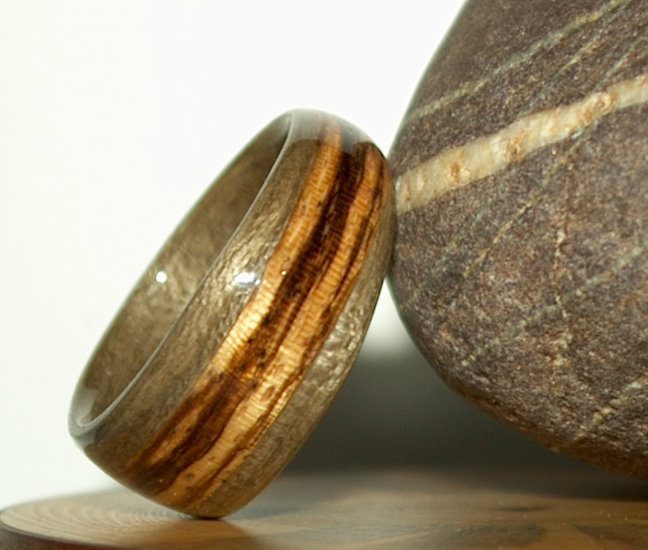 The smaller ring is a size 6, 4mm wide and not tapered.